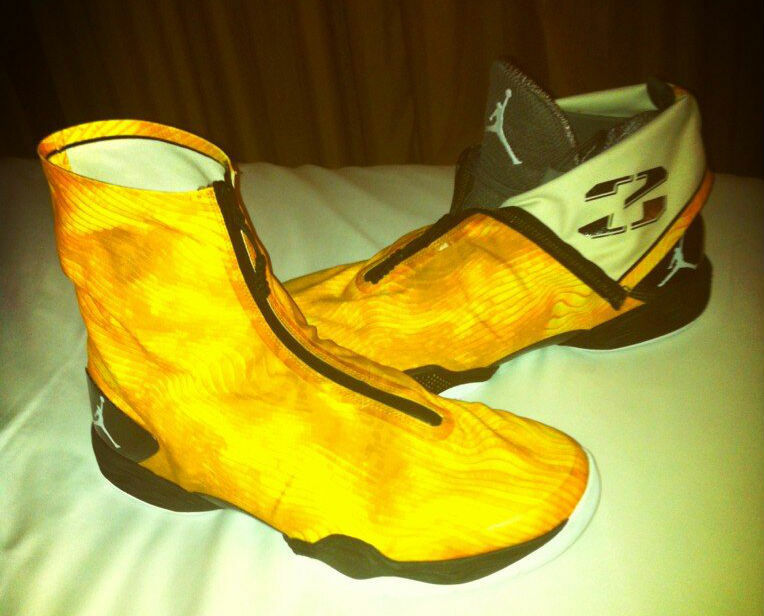 Maya Moore can't get enough of her "Yellow Camo" Air Jordan XX8 PE, so she showed us another photo on Twitter earlier today. The shoe follows the "Camo" theme used on similar green, blue and red make-ups, complete with grey inner booties, black along the heel counter and midsole and a predominantly white outsole. No word yet on a possible release of this colorway, but we'll keep you posted here at Sole Collector.